A simple hamburger hardly needs instructions. First, make a patty out of ground beef. Then, cook it in a pan, on the grill, or for a few minutes under the broiler. 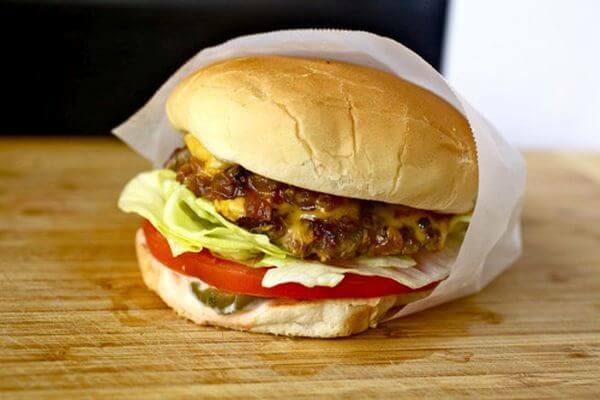 But don’t settle for simple when it comes to your homemade hamburgers. There’s a whole burger world to explore and here are 20 recipes that go far beyond ketchup and cheese. Moved away from the West Coast, and miss In-N-Out Burger? Make them yourself with this copycat recipe. The secret sauce is a blend of ketchup, mayo, sweet pickle relish, and white vinegar. As the beef patties cook, they get brushed with yellow mustard. Serve on a soft bun, and top with big slices of tomato and crisp lettuce. At fast food restaurants, some people like to pile their French fries on top of the burger patty to enjoy it all in one bite. But if you prefer the crunch of crispy fries, why not leave out the bun altogether? These burgers are as fun to serve as they are to eat. 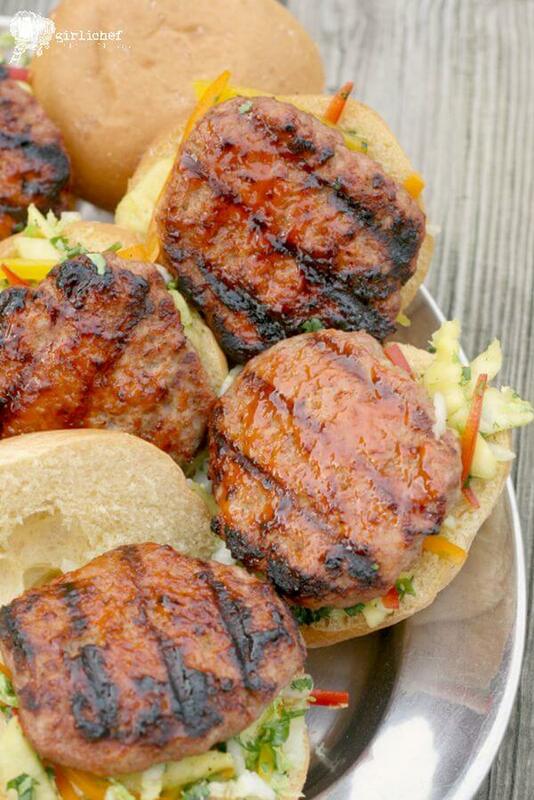 Whether you’re having a summer party for adults or kids, everyone will like this twist on backyard burgers. Picture courtesy of Corky Pollan, et al. 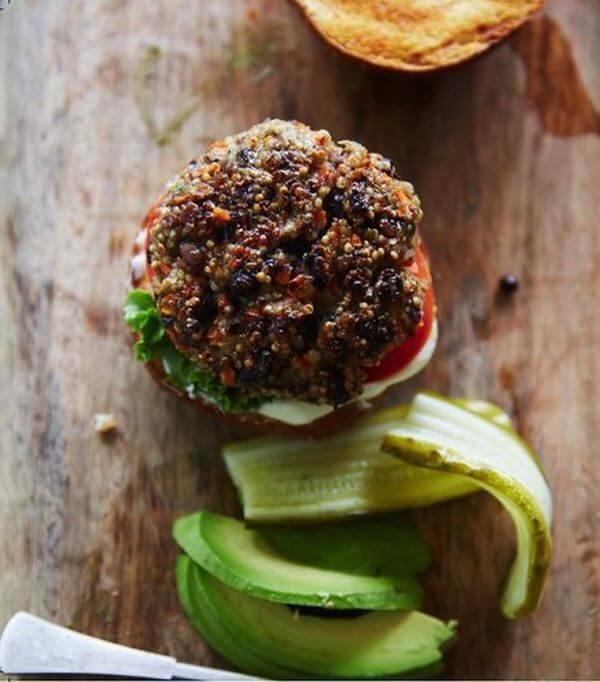 If you’re not sure how to make a good veggie burger, look to the winner of the Gourmand Award. 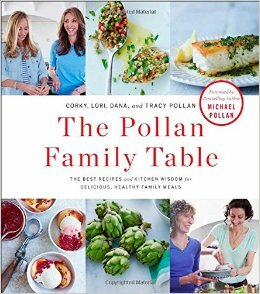 The Pollan Family Table: The Best Recipes and Kitchen Wisdom for Delicious, Healthy Family Meals comes from a famous family – at least in the food world. The sister and mom of Michael Pollan, author of The Omnivore’s Dilemma, came together to create this fully illustrated collection of irresistible yet practical recipes. 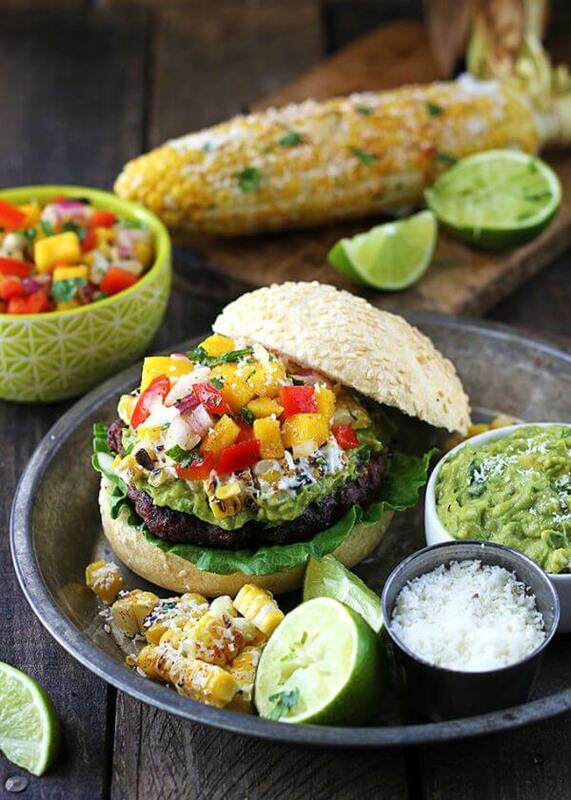 This Southwestern burger is a fiesta of flavors with homemade guacamole, roasted corn, cotija cheese, and mango-red pepper salsa on a juicy beef patty. Of course, you can use these same toppings to infuse any type of burger with Mexican flavor – including turkey burgers, veggie burgers, and grilled chicken sandwiches. For that reason, the ingredients and nutrition facts below don’t include the burger patty or bun. No time to chop up a bunch of veggies for toppings, let alone make a fancy from-scratch sauce? Sometimes all it takes to elevate a simple burger is a great seasoning blend. This hamburger recipe puts Cajun seasoning to good use. And although it also includes instructions for caramelized onions, dinner will still feel complete if you stick to tomato, lettuce, and jalapeno. Turn your go-to Chinese takeout meal into a succulent pork burger. The ground meat is glazed in your favorite sweet and sour sauce, which complements the fresh slaw of cabbage, pineapple, bell pepper, and cilantro. 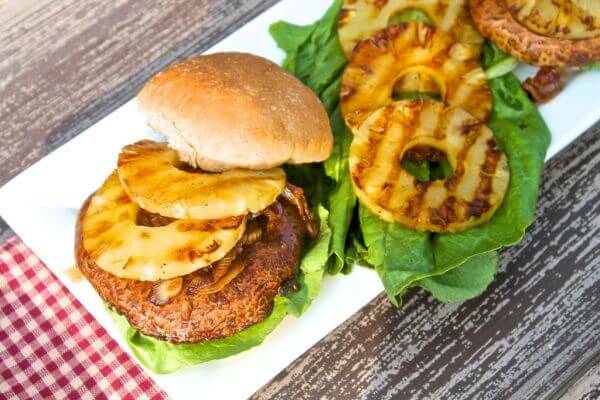 These pineapple burgers don’t take very long to make, but their sweet and sour flavor will stick in your memory every time you fire up the grill. Can’t decide between a frankfurter and a hamburger? 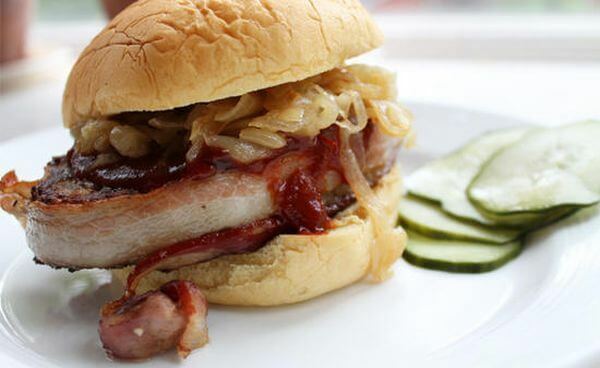 Make a patty out of quality sausage, and you’ll get the best of both comfort foods. 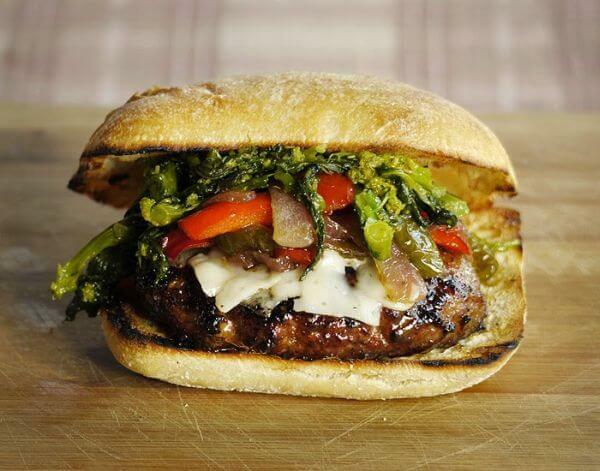 Sautéed peppers and onions, provolone cheese, and garlicky broccoli rabe complete the upgrade of this Italian sub. These burgers taste best when served on soft ciabatta rolls. It’s true that all protein is good protein, but it’s good to mix things up because each meat comes with slightly different benefits. While beef tends to be lower in cholesterol, lamb is lower in total fat. 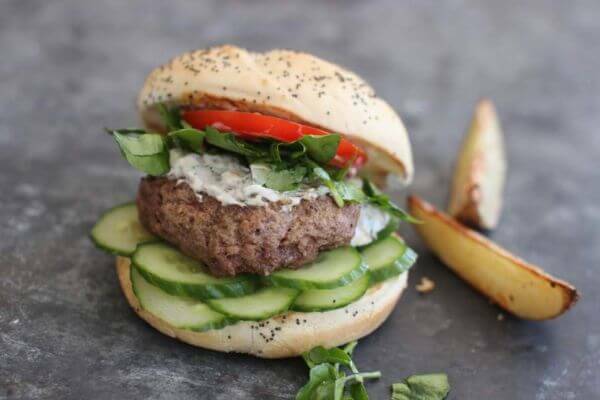 Or you can use a blend of ground meat to enjoy the best of both, including lamb’s ability to pair with cool flavors like cucumber and mint. Classic burgers are tasty, but they’re also a great platform for traditional flavor combinations like French onion soup. 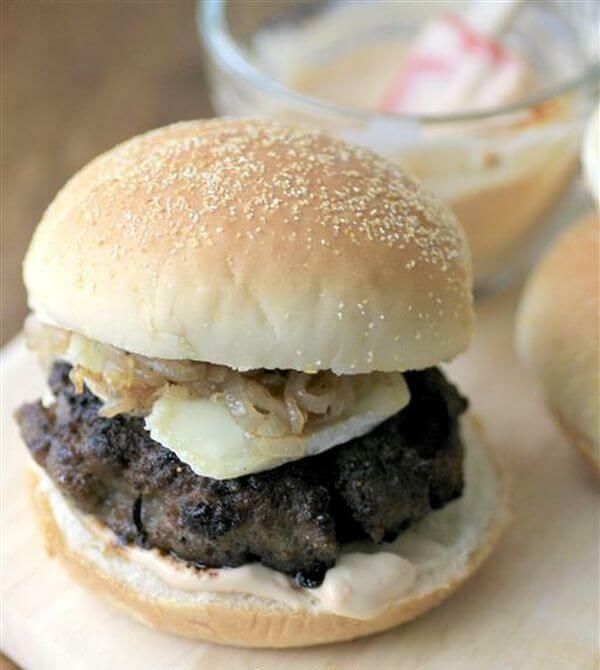 This is a glorified cheeseburger for sure – complete with tender onions sautéed in butter and topped with melted gruyere cheese. 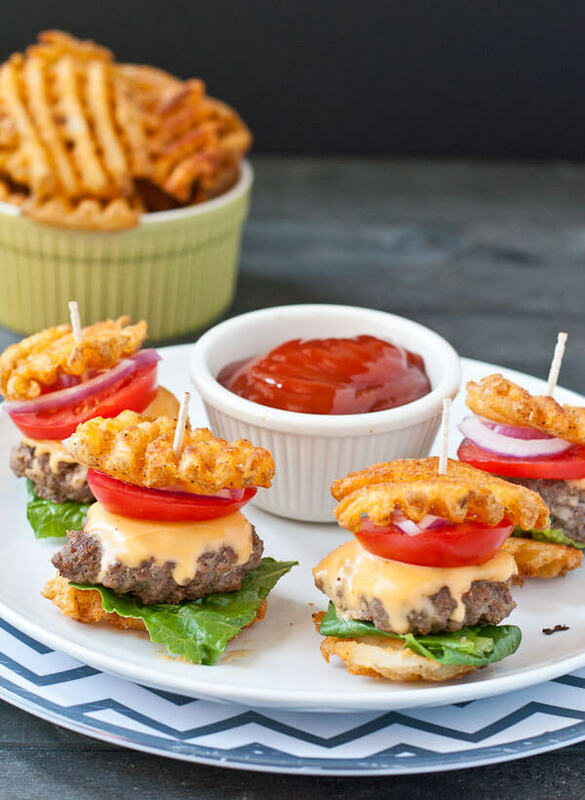 These make a good appetizer on game day, but one slider is also a great small lunch with 30 grams of protein and only half that in terms of both carbs and fat. 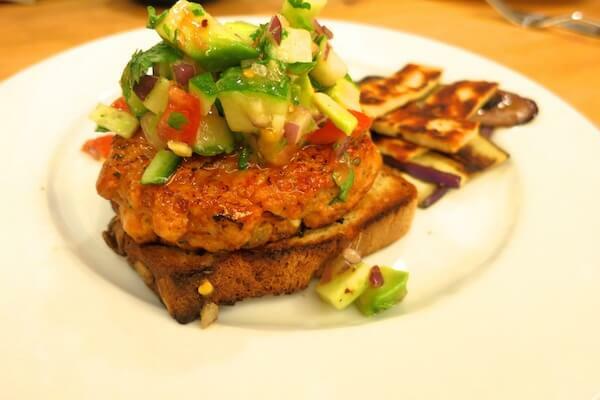 This salmon patty is delicious whether you serve it on a bun or as an open-faced burger on thick toast. Add the salmon filets in a food processor, and pulse together with Thai red curry paste, red onion, and soy. Then it’s topped with homemade salsa of cucumbers and avocado. A little fresh cilantro or Thai basil brings it all together. If you have reason to celebrate – whether you completed a race, hit a training goal, or just survived a stressful work week – then this sirloin and brisket burger is a delicious way to pat yourself on the back. The two cuts of beef are mixed with panko bread crumbs, brushed with ketchup, and wrapped in bacon before going in the oven. When the meatloaf is cooled, it’s sliced and finished with a few minutes on the grill. Want a burger with a full serving of fruit? Top it with thick slices of avocado and tomato. 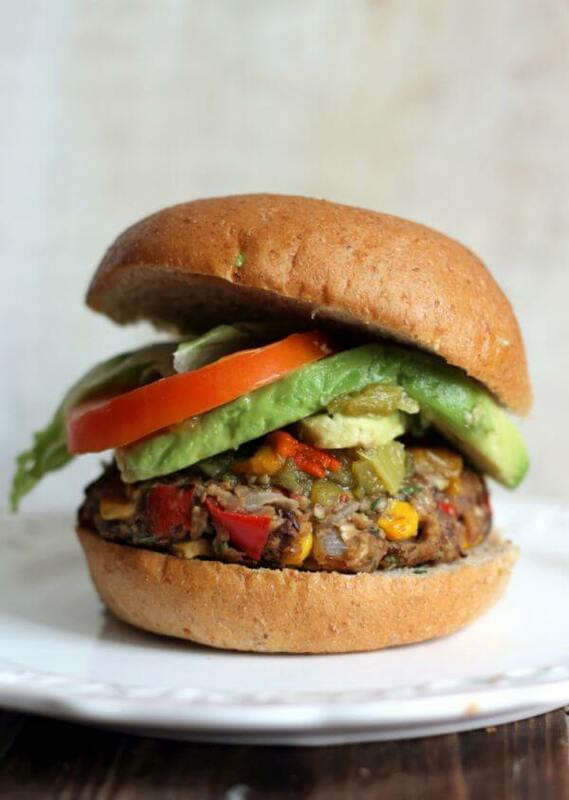 For even more plant-based nutrition, this Southwestern burger patty is made with black beans, sweet corn, and two kinds of peppers. That’s a whole lot of flavor, but for even more, replace ketchup with your favorite salsa or homemade guac. Once you make this Sriracha cashew cream, you’ll want to try it on everything, including other burgers, as a veggie dip, and when thinned with a little water on cabbage slaw for a salad. Then again, it’s also good on this almond tuna burger. It’s a great way to transform the usual pantry goods like canned tuna and crackers into a unique and spicy meal. What never fails to upgrade a burger? A thick slice of bacon (or two). 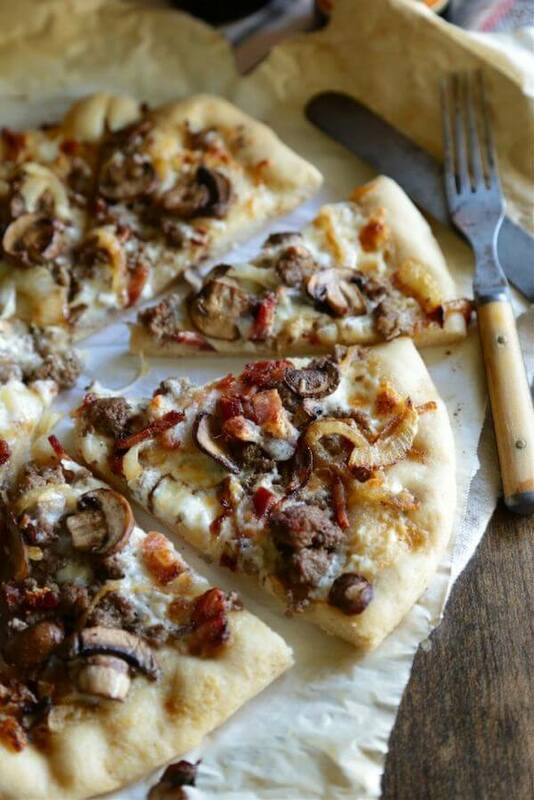 And in this recipe, the unbeatable bacon cheeseburger is transformed into an awesome pizza. Really you can use this as a guide to assemble any kind of burger pizza, but there’s no need to mess with it if you love blue cheese and crimini mushrooms. If you want a more kid-friendly combo, swap those out for shredded white cheddar, ranch dressing, and diced tomatoes. Compared to ground beef, turkey isn’t quite as good at retaining moisture. But there’s a healthy way to combat that: apples, onions, and zucchini. The grated fruits and veggies get mixed into the ground turkey. 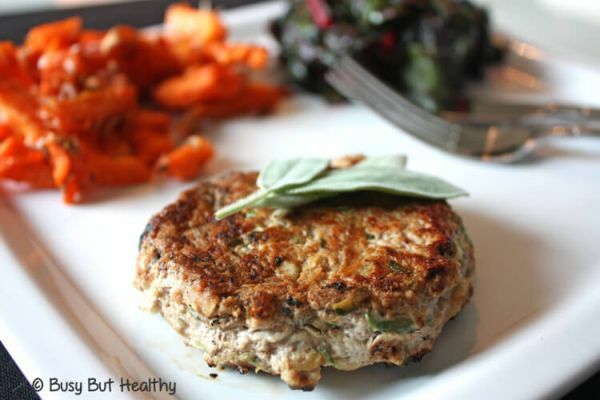 Along with a little fresh sage, these turkey burgers are amazing to eat whether it’s time for breakfast, lunch, or dinner. Succulent duck with oranges is delicious, as are turkey with cranberries, chicken with apricot, and pork with pineapple. 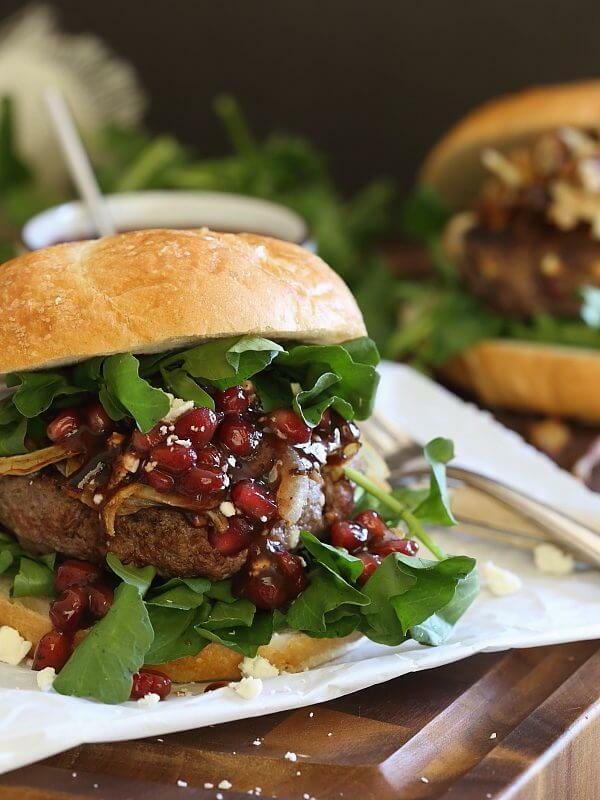 So why not combine bison with tart pomegranate for a gourmet burger? 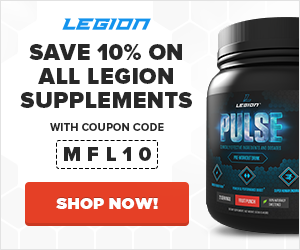 Bison makes a fantastic burger patty, and it’s also a nutritious meat to work into your meal plan. Not only does bison have less fat than beef, but it’s lower in cholesterol than chicken. This burger brings to mind not idling at the fast-food window, but traversing the wilds to forage and hunt. The tart blueberries and sweet maple syrup do an excellent job of taming the flavor of bison, which is gamey compared to beef. 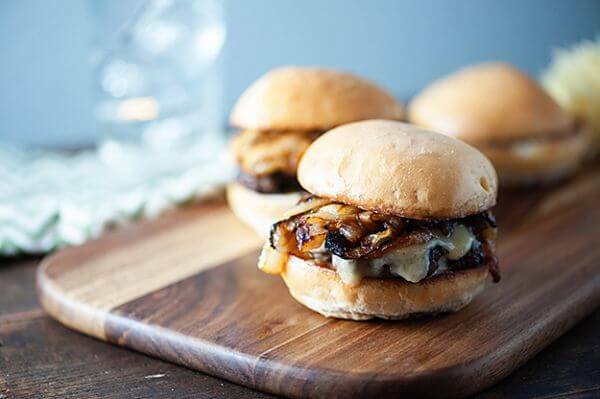 But you can use any kind of ground meat to make these unique burgers, which are finished with brie, sautéed shallots, and a touch of adobo chile sauce. 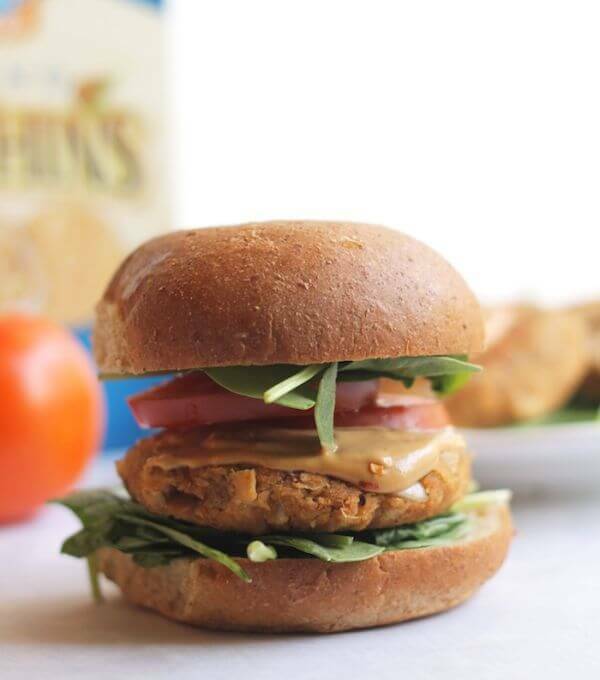 If your household is new to meatless meals, you’ll want to give these chickpea burgers a try. These veggie patties are full of carrots, celery, cauliflower, and – most importantly – cayenne hot sauce for that Buffalo burger kick. Spicy vegan pistachio cream tops it off with even more Frank’s red hot flavor. 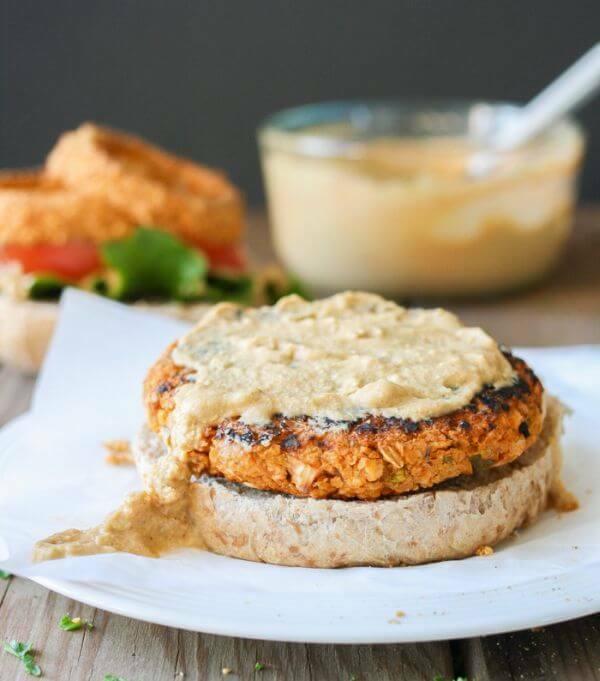 And these chickpea burgers freeze well, so you’ll be glad to have extra. An easy way to enjoy tofu – and make it addictively delicious – is this take on Vietnamese banh mi. To recreate the popular street food, pan-fried tofu is topped with shaved carrots, radish, and onion. 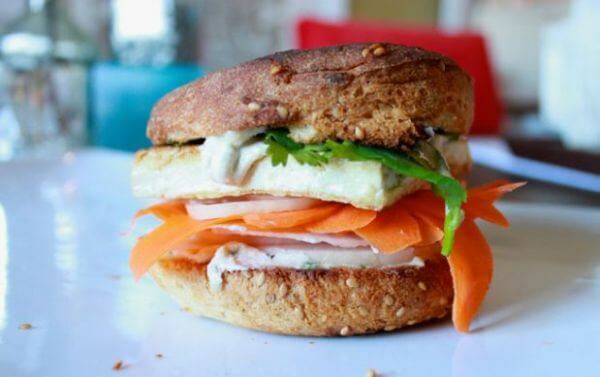 There are also two kinds of herbs, cilantro and basil, to make this tofu burger not only quick but fresh. Since these are typically served on baguettes, look for a French-style roll to complete the banh mi experience. If you need a vegan burger option for your backyard cookout, this is it. Honestly these Hawaiian burgers are so good, you’ll need to make extras because carnivores will want a taste too. And they’re as easy to make as a simple hamburger. The Portobello mushroom caps just get seasoned with a little soy sauce, salt, and pepper before going on the grill. 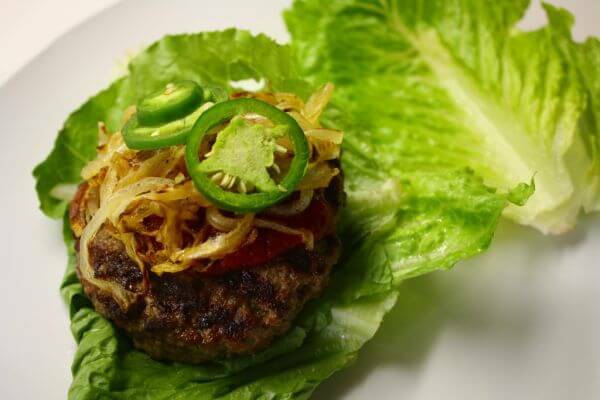 What did you think of these burger recipes? Have anything else to share? Let me know in the comments below!